The 7th Annual Bentley Scottsdale Polo Championships is going to be one of Arizona’s best events of the year when it returns November 11th and 12th to WestWorld of Scottsdale. But you don’t have to wait until then to start enjoying the fun. As a friendly reminder, one week from today is the Evans Furs and Leathers Polo Party Preview on October 5th at Dominick’s Steakhouse. Enjoy a performance by Phoenix Opera, new fashions and meet Ashley Busch, United States Polo Association model and wife of NASCAR Superstar Daytona 500 champion Kurt Busch. Ashley will be playing on the Aspen Valley Polo Club’s team during the featured Match on November 11th. The Evans Furs and Leathers Polo Party Preview will be from 5:30 p.m. – 7:30 p.m. in North Scottsdale in the rooftop dining room of Dominick’s Steakhouse located at 15169 N Scottsdale Rd, Scottsdale, AZ 85254. If you have not bought your tickets or table for the November 11th and 12th event, be sure to purchase them at ThePoloParty.com. 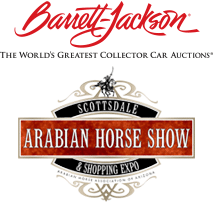 There’s less than two months until the Bentley Scottsdale Polo Championships, and some categories are almost sold out.